Various prayer cards for sale. Please click on image to view. The Infant Jesus of Prague is a 16th-century Roman Catholic wax-coated wooden statue of child Jesus holding a globus cruciger, located in the Discalced Carmelite Church of Our Lady Victorious in Malá Strana, Prague, Czech Republic. 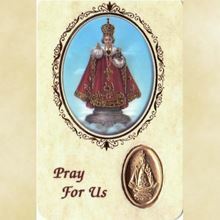 In addition, the statue has also merited Papal recognition through Pope Leo XIII who instituted the Sodality to the Infant Jesus of Prague in 1896. On 30 March 1913, Pope Saint Pius X further organised the Confraternity of the Infant Jesus of Prague. Pope Pius XI granted its first Canonical Coronation on 27 September 1924 while Pope Benedict XVI granted its second coronation to the image as well as a spare ermine fur cape during his Apostolic visit to the Czech Republic in September 2009. 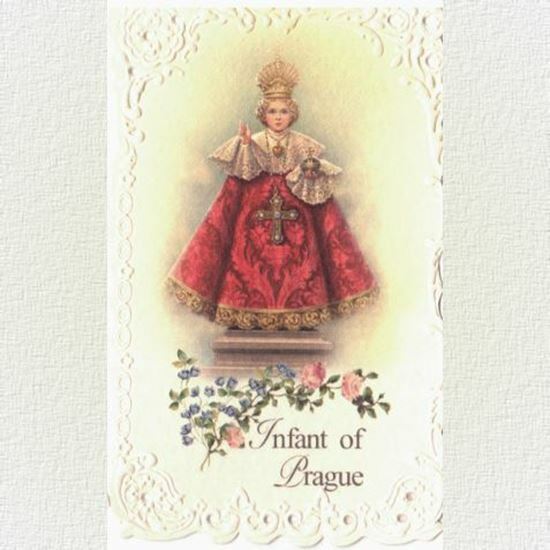 The National Shrine of Saint Jude has a prayer society for the Infant Jesus, which is affiliated to the Shrine of the Infant Jesus cared for by our Discalced Carmelite brothers in Prague. 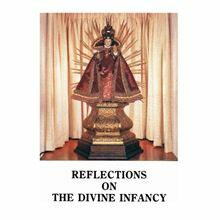 The National Shrine of Saint Jude has it's own statue and a prayer society for the Infant Jesus, which is affiliated to the Shrine of the Infant Jesus cared for by our Discalced Carmelite brothers in Prague. A History of the Devotion - The Miraculous Child Jesus of Prague. Read more below (or by clicking on title).